Are there multiple parties in different states that need to attend the meeting? Multi-party bridging services through BlueJeans are FREE, so even attendees who do not have access to a true videoconferencing system can easily attend through any webcam-enabled computer or tablet. True videoconferencing through Gaige & Feliccitti is available in the following Maine cities. Rely on us to secure a true videoconferencing location in any Maine city through our network. Reserve your reporter and conference space today through our online scheduling portal, or call or email us to learn more about our services and current rates. 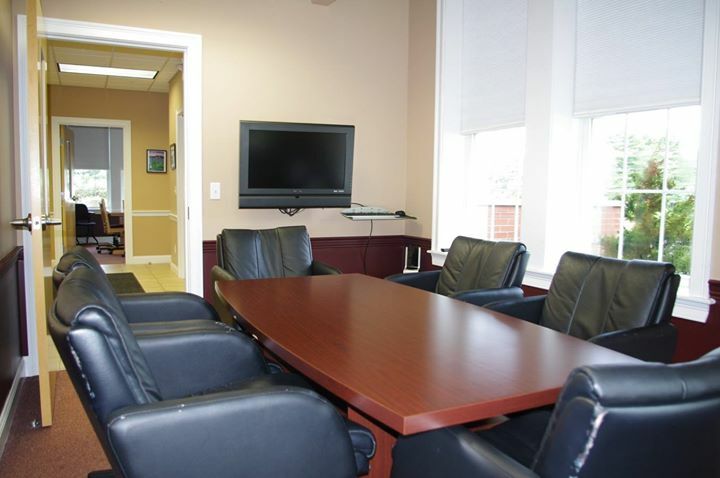 Our videoconferencing room is available for more than just legal proceedings! Don’t end a vacation or fly last-minute to another city due to an unexpected meeting; ask us about attending board or business meetings remotely at the Gaige & Feliccitti headquarters.